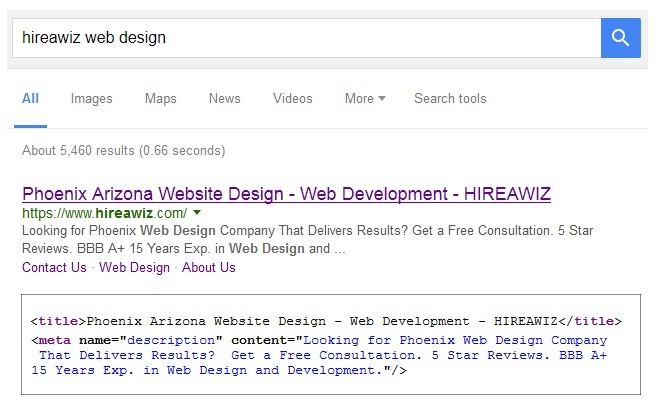 Our SEO company has been specializing in offering SEO services in Phoenix for almost a decade now! Our team has taken years of SEO experience and condensed down our most actionable SEO tips that have worked for us into this SEO guide. The best part? All of the SEO techniques are actionable and easy to follow. If you are serious about getting higher rankings and more visitors check out our new guide on actionable SEO tips you can start implementing today. While the primary goal of Search Engine Optimization (SEO) is to get your website to rank well on Google, with the goal to get more targeted traffic, is often easily understood, the process is much more complex. When done correctly, SEO can yield incredible results, even for offline businesses. We’ve made a comprehensive list on why you should do SEO and what good SEO (White hat SEO) looks like. First we need to consider SEO and understand the simple facts that any business should know. SEO is an inbound marketing process. This means that unlike traditional outbound marketing, everything that you do will focus more on the consumer’s needs, rather than talking up your Business. People don’t just go online to shop, they use the web to search for a solution to their problem, learn more about products or services, or make a purchases. SEO not only helps you rank and get more targeted traffic. When done correctly your content serves the users intent well enabling you to not only get a visit to your website but enables you to connect with the visitor, educate them, build trust and even sell them on your product or service if that is your goal. 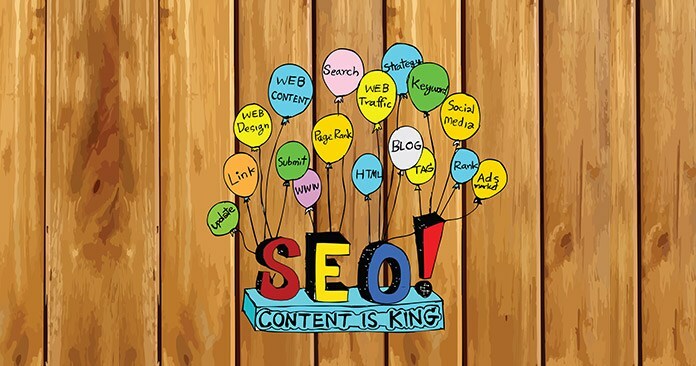 With SEO is content is King, intent is definitely Queen! Don't got enough time to read the whole post? Download our complete Actionable SEO Tips (That Actually Work) guide here! Ranking high in the Google search engine results pages (SERPS) is the Holy Grail for most online businesses. With literally billions of searches monthly, and 91% of searchers going only to the first page of results, it’s abundantly clear why you want to make sure to take advantage of SEO as it relates to your website pages. Optimizing your pages, videos and mobile pages for your preferred keyword phrase is very important, if you hope to get your share of organic search traffic. The number of actual searches is increasing exponentially every year, and shows no sign of slowing down, with all the platforms now available to access these results. Beyond the technical aspects that get your pages to rank better in Google, there are other factors that SEO is intimately involved with that will bring more business to your doors. Things like optimizing and planning content for best results, integrating social media and visual content, and using these levers to expand your business. Despite the fact that there are trillions of indexed web pages out there, many even relating to topics and markets you’re involved with, a sound search engine optimization plan helps your pages stand out from the herd, and serve up your content ahead of all others. It’s really quite amazing when you think about it. Of all the web pages available, yours can be the one that shows up for a specific keyword query if you perform your SEO well. For businesses that hope to compete these days, SEO is the perfect tool to expand your website’s reach and increase your visibility online. Ranking your pages, social media pages, videos and imagery gives an ever-expanding audience access to your business, exposing your products and services to a vast audience that is inclined to share far and wide. These days, it’s even possible to benefit from SEO without actually having a website. 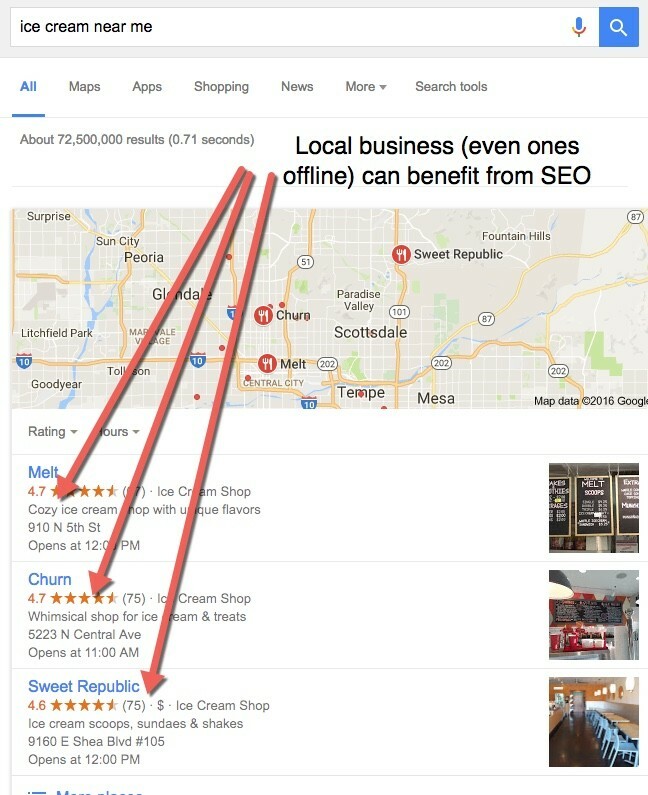 Local businesses will often develop a search engine presence that makes a difference simply by having a Google My Business page, Facebook Page, or other social media profiles. Customers will be able to find your business in local search and patronize your establishment. Google My Business is especially useful in this regard. Having a listing that includes your business information, such as physical address, directions, images, phone numbers and keyword-optimized descriptions will often show up in Google Mobile search, along with a Maps placement. You can even manage customer reviews in your Google My Business account, enhancing the chance that customers looking for your products and services will find you. Even though an offline business may not have a website, the reality is that many of their customers will be online, searching for their products and services. The good news is that through SEO they can still be found. While each online platform has its own quirks and unique requirements, a sound approach to SEO will include content not only on your website but across other platforms like YouTube, Vimeo, Instagram, LinkedIn etc. By posting high quality relevant content on various websites and across multiple platforms, media (text, video, audio) and channels you are now enabling your website and or business to show up on search results across all these other platforms and not just on popular search engines like Google, Bing, and Yahoo. For example did you know YouTube Is The 2nd Largest Search Engine in the world with millions of searches each day? Ranking for the same keywords with a YouTube video is significantly easier than on Google for your web page optimized for the same keywords. There are many tools online for finding the best keywords, but the best ones are available directly from the search engines themselves. The Google AdWords Keyword Planner, for example, is a great resource that provides all of the data you need. Now that you know what SEO is and why it’s valuable, you will need to start evaluating both your onsite SEO and offsite SEO. Our onsite local SEO checklist is a list of things that you must do to your website in order to help you improve your chances of being ranked for specific keywords. Many website owners that attempt to run a SEO campaign on their own, only focus on offsite work which is a huge mistake. Ignoring onsite issues can cause all make all the offsite work a lot less effective. Just because you have found a great set of keywords doesn’t mean that you should try to squeeze all of them into every last piece of content that you create. This is a surefire way to create low quality, spammy content. Limit, segment the use of a keyword to the most relevant pieces of content. For example, a keyword like “Businesss in Phoenix” would work best with a piece of content discussing something to do with the Phoeinx, AZ area, whereas a keyword such as “Spa Businesss” would be left out of the “Businesss in Phoenix” content (unless the subject happens to be spa Businesss in Phoenix of course). Web crawlers must be able to easily locate all the pages on your website. A web crawler is what search engines use to systematically browse the web for the purpose of indexing. You will want these crawlers to crawl your entire site especially because of the importance that the search engines place on content. In all reality, every page on your website should be able to be found in 2 clicks or less. If this is not the case then we would strongly suggest you update it immediately, not only for the search engines but also for your website visitors. Usability is an important factor when it comes to the conversion rates of your visitors. Obviously, if you are attempting to rank locally then you will need your business address listed on your website as well as a phone number with a local area code. This may sound like a no brainer but you would be shocked by just how often this is missed or how often a company moves and forgets to update their website with the correct address. The search engines will doc you big time if your website is slow loading. Many times the reason a website loads slowly is due to either the images being to large or having to many of them on a page. One of the most common places that images cause a website to load up slowly is the slider. You must remember that all the images in a slider have to load before the page is done loading. That is why you will want to make sure you limit your slider to between 3 and 5 well optimized images. Geo tagging of images is another great strategy for local SEO. If you have done any research on search engine optimization then you have probably heard about the importance of Meta Tags. A meta tag is a line of code that determines what goes in the description section of your search result. All meta tags should include at least one iteration of the primary keyword for the content, and when possible, the secondary keywords. People will be gleaning your descriptions, so it is important to keep them concise, use active language and include a call to action to get them to click. 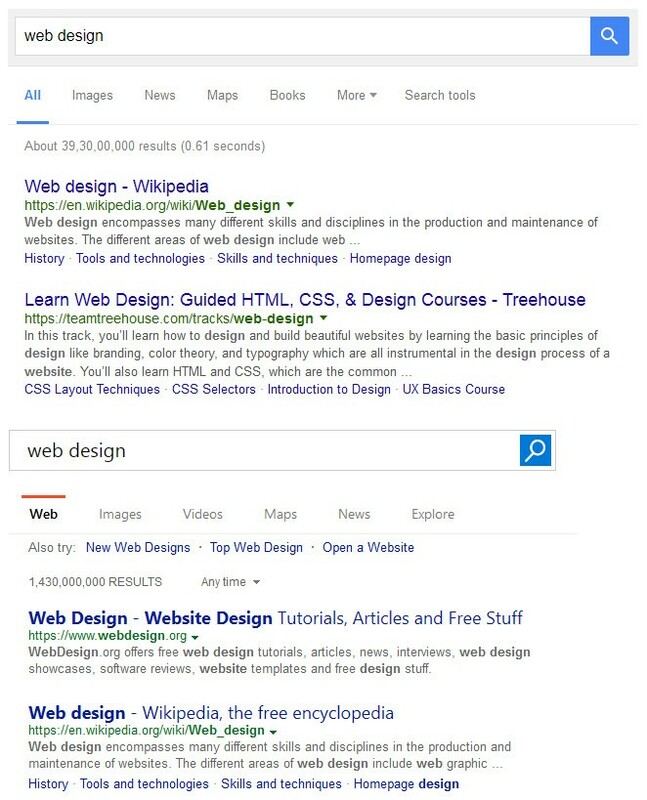 Like title tags, meta tags have a character limit on Google. The character limit for meta tags is 150 characters. It is key that you give proper titles and descriptions to each page. As the name suggests, the title tag is a piece of code that allows you to control what title shows up on search results lists. Each page on your site should have a unique title. Your titles should always include the primary keyword for the content on the page (preferably at the beginning). Also, be aware that Google has a 70 character limit for titles, so anything beyond that is useless. I am sure you heard the phrase content is king. Well it was true years ago and it is even more important now. Google places a lot of weight on fresh relevant content. If you have a lot of pages on your website that doesn’t require frequent updates then you may want to consider adding a blog. A blog is a great way to allow you to constantly add new content to your website. Your business is investing time and money into your SEO campaign, and as such, you want to make sure that you benefit from the results. You cannot benefit from your hard earned SEO results if all of your search results lead to ‘404 ERROR’ and ‘PAGE NOT FOUND’ broken link messages. This is exactly what will happen to you if you improperly update your web addresses. Be sure to add a 301 redirect, which instructs search engines to send people to your newly refined web address, instead of the one that now leads to nowhere. Search engine bots will scour your website to determine just how good your site is. You can make this easier for them (thereby improving your ability to get ranked) with XML sitemaps, which are .xml files that serve as roadmaps to guide the bots through your website. In short, search engine bots are the judges of the web; much like a real life judge, the easier you make their job, the more likely you are to receive a favorable judgement. 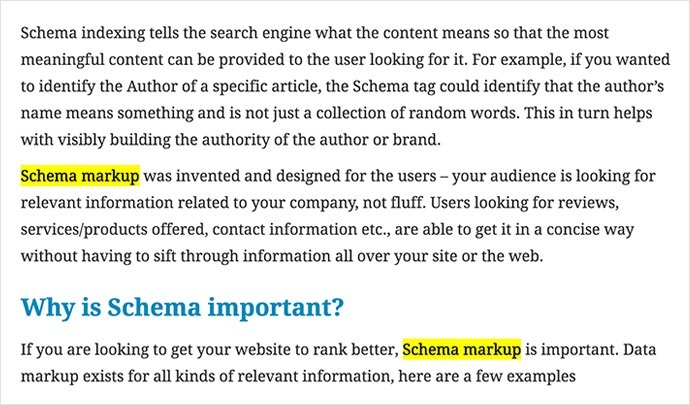 Schema markup is a way that your website will tell Google what it is looking for and why your site is relevant. Schema is a new format that Google is adopting to increase usability and make the user experience more seamless. As schema becomes more relevant, you want to make sure that your website has it and highlights your services, testimonials, and any other relevant content. 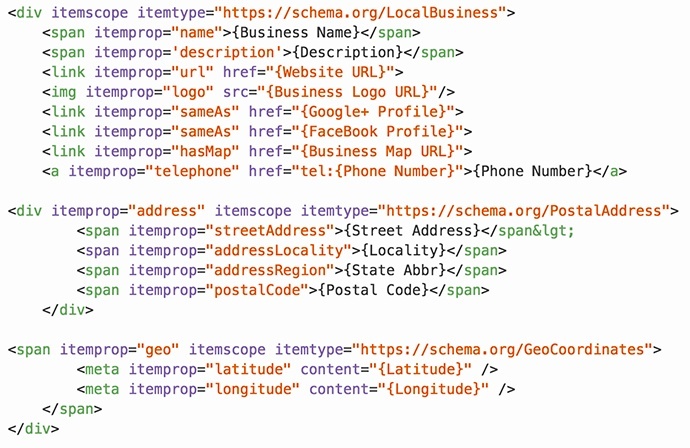 It can also be used to display that information on the search results themselves so a user can easily see the information they need, like this; (break) Learn more about schema markup on our skyscraper blog that covers all kinds of schema and how to do it! Offsite SEO is slightly different than on-site SEo. Think of offsite SEO as the spokes which lead back to the main hub (your website). Offsite SEO is just as important as onsite SEO and will have a dramatic impact on your website if done right (or wrong). The more spokes (good quality, non-spammy links) you have leading back to your website, or hub, the more relevant you are to Google. Here are some tools and techniques to consider when you start on your off-site SEO. Google offers 3 SEO tools that will make your life a whole lot easier. They are Google Analytics, Webmaster Tools and Adwords Keyword Planner Tools. The best part is that these tools are free. If you choose to run an Adwords campaign then it is not free but to signup and use the tools it is free. There are many other great tools out there but these are 3 you must get. You will want to make sure that you are signing up for local business directories that are in your niche. 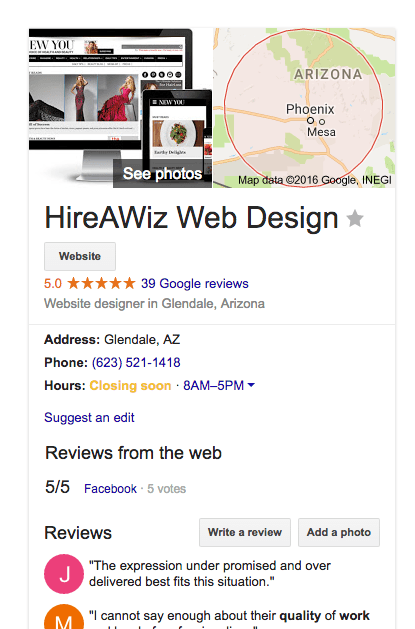 Building local citations and getting customer reviews from them is critical to success with local rankings. Start with Yelp, Bing Local, Yahoo Local, Local.com etc. Here is a list of some of the more popular directories to start with. You will want to sign up for social networks such as Twitter, Facebook and Google Plus. Simply signing up is not enough it is a must that you update these frequently. Not only do you need to update these platforms, but engage with users on a regular basis to draw them in and meet their needs right where they are. Engagement and interaction is the biggest part of social media platforms and the reason that they exist. Some companies do a great job and some companies not so great – choose which one you want to be! If you don’t already have a Google Places page then this should be the first thing you do. Don’t rush through this step as you must make sure that your profile is filled out completely and optimized properly for you to rank properly. You want to have the most consistent NAP listings posible as well. Yes, link building is still a very important part to any SEO campaign. This one can be dangerous because so many businesses attempt to take shortcuts here and end up doing things that are against the search engines rules and regulations. Even though it is tempting to do anything you can to rank on page 1 I assure you that the punishment far outweighs the reward. Work on building quality links. Link diversity and quality far outweigh quantity and all your links from only a few sources. Not just any content, but the best you can possibly come up with. We’re talking content that is authoritative, more long-form, and is very likely to get shared and generate discussion. There are a number of benefits to this SEO tactic. First it helps advance your brand as an authority in not only the eyes of Google, but eventually in your market. Google also favors “fresh” content, and tends to favor it. When this content is shared, you’ll get natural, earned backlinks that are exactly the type you want. Many local businesses feel as if there’s not much for them to say, but that’s a grave error. To become an authority, even a local one, is more than merely showing up. You need to engender confidence and trust that will get the clicks and spread the word about your business. This content doesn’t all have to be textual. In fact Google loves to see a diversity of types of content, such as videos, images and interactive pages such as polls. Always make sure this new content is optimized as best as you are able, giving it a chance to get a high ranking. There has been a tendency in the last year or so to discount guest blogging as a link building and SEO tactic. While this is true in some respects, the truth is really a lot more bright than that. 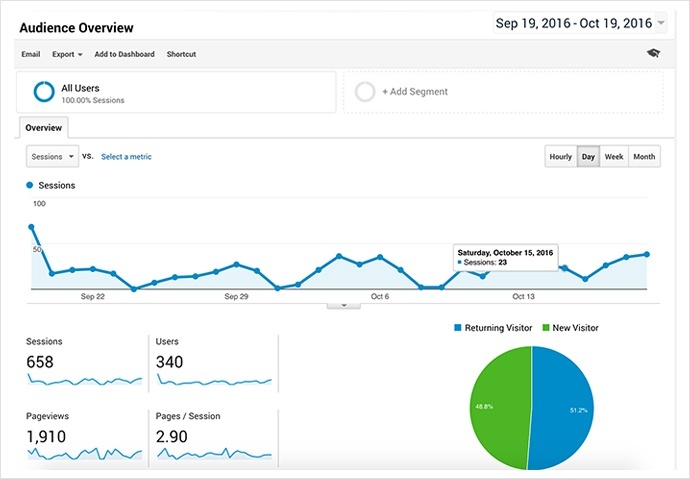 Back in the day (maybe 18 months ago) it was drop-dead easy to publish a guest post, and reap the dual benefit of both traffic and valuable incoming backlinks. Then Google (Matt Cutts in particular) declared that this practice would no longer be looked upon kindly by the Google spam team. In their view, posting suspect quality content should not be rewarded with a high ranking. They have a point. Thus many publishers of guest posts began “no-following” the backlinks attached to those guest posts, rendering them less than useful for SEO purposes. The point here is, that if you publish terrific content, you’ll not face this situation if you do your part. The link situation is entirely negotiable: if you’re looking to publish what is clearly a top-notch piece of content, you can insist on a follow link or you’re free to publish elsewhere. Moreover, the benefits of publishing high-quality content are more than just a link. The direct traffic, relationships, social interaction and online reputation you’ll garner are definitely worth the effort. The key takeaway here is to seek to publish the best quality content on the best platforms you can negotiate your terms, and you’ll definitely see a win with guest posting! Make it your business to infuse your blog with a variety of different types of content, and above all seek to encourage sharing and engagement. 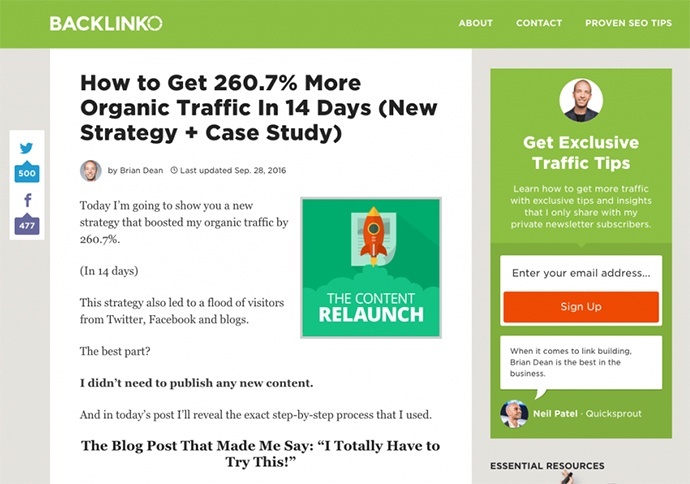 This will create new pages for your website SEO that can be indexed and drive more traffic. Don’t make the mistake of not utilizing creative visual content in your blog posts. 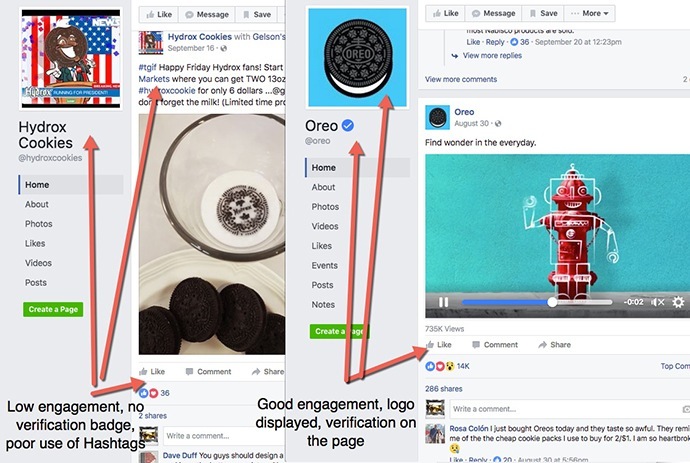 While many may think this is the purview of your social media properties like your business Facebook page, the truth is that it’s all intertwined these days, and your audience is very much attuned to the visual aspect of social media, and are far more apt to share your content if it’s visually memorable. Your business is likely on tons of different local business directories with incorrect information or even worse no information. Make sure to go to all the different local business directories and claim your business. After you do this make sure the information is both there and is correct. This will really help you boost your local SEO rankings. Don’t be scared to let your customers know to go to one of the business directories and right you a review. I would not suggest giving them a list but just telling them to go to Google Places for example and to right you a review on their experience with your business. It is key that you make sure to use the same address, phone number, fax number, etc. 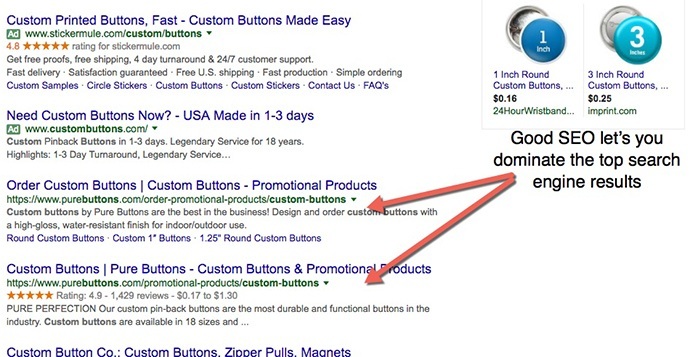 You don’t want the search engines or worse yet potential customers confusing your listings. If you don’t have a local number don’t worry you can get a free one from Google voice. The number can be forwarded to any phone. What do I mean for this? 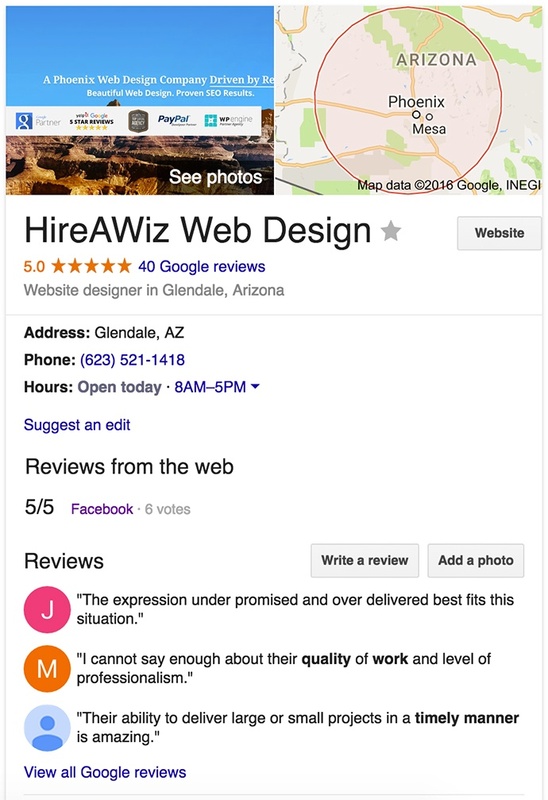 Well, for example take HireAWiz, rather than optimizing a page for SEO company we may consider using Phoenix SEO company. Inbound links from another site back to yours stand beside content as something you must have for your Business’s SEO campaign. This is due to the fact that they prove to the search engines that your website is relevant and worth visiting. As with all other things in your SEO endeavors, you must approach link building a certain way for it to be successful. Following the dos of link building will allow you to quickly develop your business’s internet presence as a force to be reckoned with. Following the don’ts will not only reap watered down results, but you also risk severe punishment from search engines when you get caught doing certain ones; this nullifies all of your SEO efforts. A dozen years ago it was pretty easy to get to the top of the search engines. All you had to do was stuff your pages with keywords and you were good to go. Today that tactic would get you penalized or even banned from the top search engines. That’s why you need to play by the rules if you want a shot at grabbing the top spots. 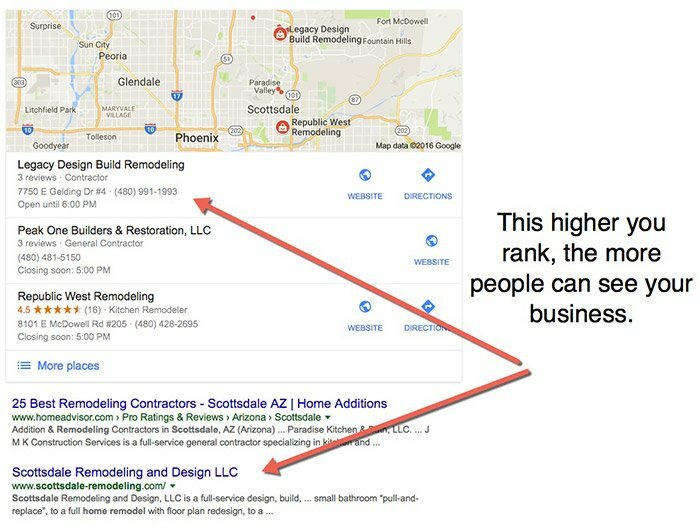 But here’s the thing… Your competitors are already using SEO services in Phoenix, Scottsdale or whatever city you run your business out of. That makes it even harder for you to elbow the competition out of the way. If they have SEO experts on their side and you’re trying to figure it out on your own, what chance do you have of getting on the first page of Google or other search engines? The answer? Little to none. It’s a crowded field, and you need to give yourself every edge you can get. That includes hiring a firm who specializes in SEO in Phoenix. Which brings us to the next point. SEO is not something you learn about once and then apply forever. That’s because the rules are constantly changing. The search engines are constantly tweaking their algorithms. What worked six short months ago may not work today. Truth is, it’s a full-time job to stay on top of all the changes. And you already have a full-time job running your business. That’s why it’s smart to put your SEO needs in the hands of a SEO firm who makes it their job and #1 priority to know how to get your site to the top of the search engines and get you the results you need. SEO isn’t a standalone strategy. To get the best ROI from your SEO campaign we highly recommend you integrate it with your social media, blogging, and other content strategies. That’s why you need a firm who specializes in digital marketing. Our SEO company can do your SEO at the same time we are designing your social media and content strategies. SEO is very important and when done properly can really help your business take off in a major way. Getting quality SEO isn’t a quick and easy process and we would suggest calling one of our experts however, if you decide to take on the task yourself, these are the best reasons and ways to move forward in the best way possible. Don’t make the mistake of lumping SEO into the list of things you either have to do, or will get to one of these days. SEO in its many-headed applications is a necessary and valuable piece of your online marketing arsenal, whether the bulk of your business is online or not. Don’t run your business without it! 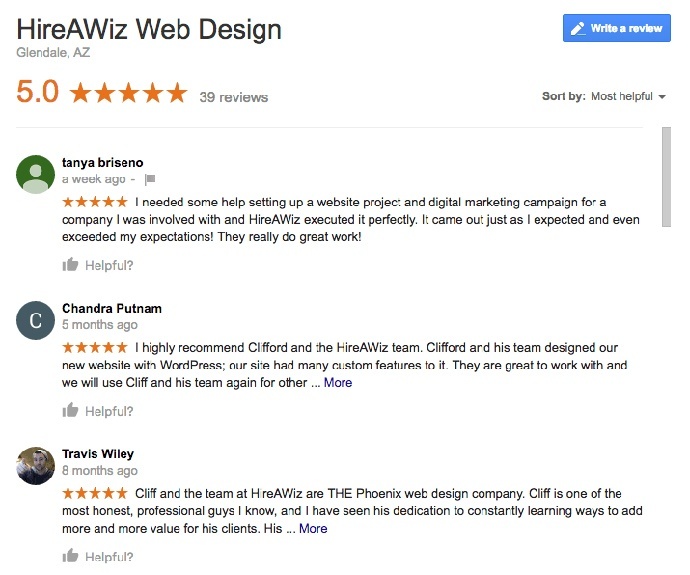 Call us today at (623) 521-1418 or contact us directly to learn more about what we can do for your SEO and be sure to check out our SEO service page to learn more.